#SweatyMess? Try evian Facial Spray! The D.C. heatwave has been out of control for the past 2 weeks. My friend & I have started our own little business venture, a summer camp for some of our students, and we spend 80% of our day outside walking around the city. Walking around in this heat, with 10 kids, has been intense to say the least. I’ve been so happy to have my evian Facial Spray by my side as a quick pick me up when I’m feeling gross & need a refresher. 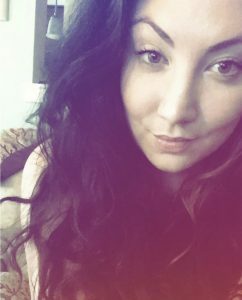 Truth be told, I’ve been using the evian Facial Spray since high school…and seeing that I just celebrated my 26th birthday, that’s been a long time. I used to buy the larger bottles and really only used it at home, but I’ve found the travel size is way more practical, especially on these summer days. evian Facial Spray keeps me from being a #SweatyMess each day, it’s a pH moisturizing spray that helps refresh the skin when exposed to sweat, sun, chlorine, and anything else that may disrupt your skin from feeling its best. While I’ve been mostly using my evian Facial Spray to combat perspiration, it’s also an incredible way to keep your skin hydrated while in flight. I made sure to spray my face a few times while on the red eye from L.A. to Newark after my Hawaii trip. My skin felt hydrated and refreshed the whole flight! Facial sprays are popular these days, and this one is a classic that delivers hydration. I’ve been using it for about 10 years now, and I know I’ll be using it for 10 more! Author ElizabethPosted on July 24, 2016 January 7, 2018 Categories SkincareTags EvianLeave a comment on #SweatyMess? 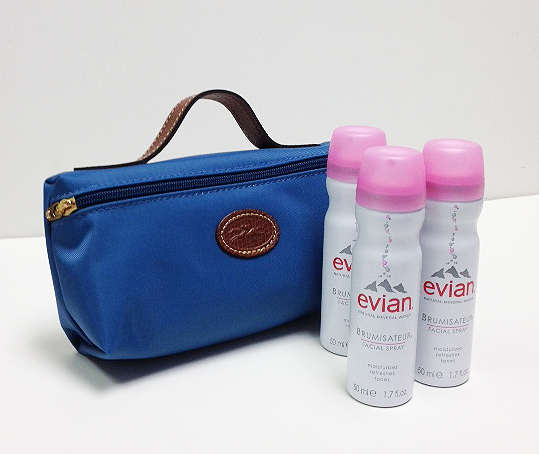 Try evian Facial Spray! 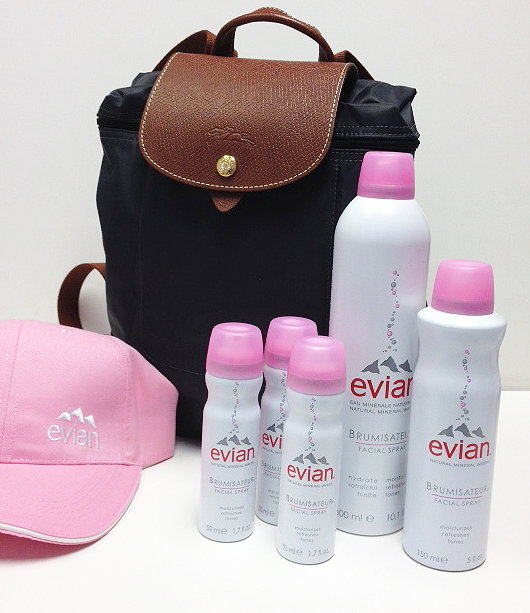 Enter the evian Facial Spray’s Bon Voyage Sweepstakes! It’s a Sunday evening, we’re all watching football or catching up on some of our favorite shows, right?! Well, I highly advise you take a second to treat yourself and enter the evian Facial Spray Bon Voyage Sweepstakes hosted by the Wilkes Group, Inc!! To entice you even further, three runner ups will receive a Longchamp Pochette toiletries case, with embossed leather trim in durable, water-resistant nylon, accented with gold tone hardware, which retails at $50, and filled with a trio of travel size evian sprays (over $70.00 total value). Personally, I’m a huge fan of the evian Facial Spray, and have been using it since high school. It’s perfect for when you’re on the go and need a little pick me up, the spray keeps skin feeling fresh gives a great boost. I also love using it on flights when the air in the cabin can be drying and unpleasant for skin. Author ElizabethPosted on November 1, 2015 January 19, 2018 Categories GiveawaysTags EvianLeave a comment on Enter the evian Facial Spray’s Bon Voyage Sweepstakes!